Nashville, TN – Pastor Rick Warren is scheduled to preach at the open-to-the-public Worship Service that will take place Wednesday, February 24, 2016, during Proclaim 16, the NRB International Christian Media Convention, in Nashville, TN. Leading the worship that evening will be award-winning singer and songwriter Michael W. Smith. Steve Green, the Museum of the Bible’s Founder and Chairman of the Board, will also provide a special presentation on the 430,000 square-foot international museum dedicated to the impact, history, and narrative of the Bible. Currently under construction in Washington, DC, and scheduled to open in fall 2017, Museum of the Bible is the Platinum Sponsor of Proclaim 16. 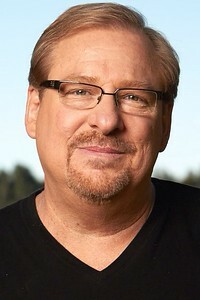 As a pastor, Rick Warren founded Saddleback Church in Lake Forest, CA, in 1980 with one family. Today, it is an evangelical congregation averaging 30,000 weekly attendees, and has more than 300 community ministries. Warren also leads the Purpose Driven Network of churches, a global coalition of congregations in 162 countries. His second book, The Purpose Driven Life, has sold 32 million copies and is the best-selling hardback book in American history, according to Publishers Weekly. His soon-to-be-released book, titled The Hope You Need, is based on the Lord’s Prayer. 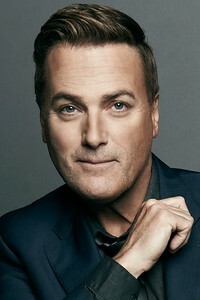 Michael W. Smith is an acclaimed singer, songwriter, and musician who has sold more than 15 million albums, achieved 32 No. 1 songs, and earned three Grammy Awards, one American Music Award, and more than 40 Dove Awards. He actively supports the teen club Rocketown, Compassion International, and Samaritan’s Purse, the ministry headed by Franklin Graham. In honor of the 100th Anniversary of ASCAP (The American Society of Composers, Authors and Publishers), Smith, along with Amy Grant, was honored as “a cornerstone of Christian music,” for his groundbreaking career and significant influence on the genre. In 2017, Museum of the Bible will open its 430,000 square-foot facility in Washington, DC, located just two blocks from the National Mall and three blocks from the Capitol. As of 2015, the museum’s traveling exhibits have visited six U.S. cities and four other countries, with new exhibits and locations continually being planned. During Proclaim 16, Museum of the Bible will have a 20,000 square-foot museum set up on the floor of the Exposition, along with 200+ other exhibitors. The Exposition is the largest marketplace dedicated to Christian media professionals, and passes to enter are available for free. Presenting the museum during the Worship Service at Proclaim 16 will be Steve Green, Chairman of the Board for Museum of the Bible and the visionary behind the Green Collection, one of the world’s largest private collections of rare biblical texts and artifacts. 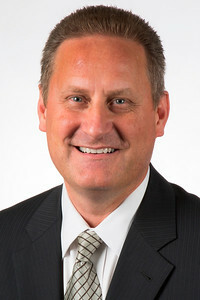 He is also President of Hobby Lobby, the world’s largest privately owned arts and crafts retailer. The Worship Service on February 24, 2016, will be free to the public and will begin at 7 p.m. in Delta Ballroom A at the Gaylord Opryland Resort & Convention Center in Nashville. In addition to the Worship Service, Rick Warren will speak during the Pastors Lunch at Proclaim 16 on Wednesday, February 24, 2016. Steve Green and the Green family will also be speaking at a dinner event at Proclaim 16 directly before the Worship Service. Proclaim 16 will take place February 23-26, 2016, while the Exposition will be open February 24-26. Preceding the Convention will be the NRB Digital Media Summit on February 22, 2016. Registration for Proclaim 16 will open on August 24, 2015.